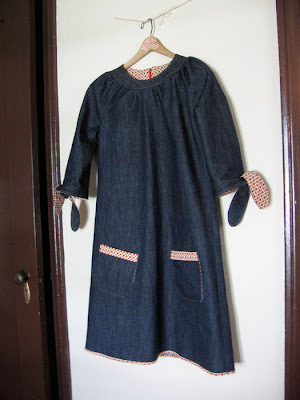 I recently finished a denim dress using a Built by Wendy pattern, Simplicity 3835. 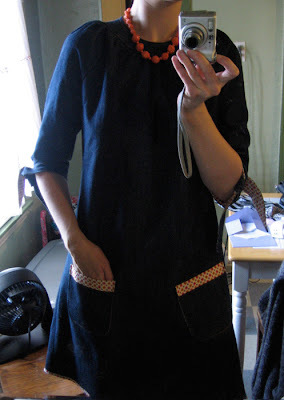 I cut the fabric the length of the dress but used the sleeves and ties for the mini-dress. To cut down on the bulk of the denim and spice up the overall look, I used a contrasting fabric for the facing of the arm ties and the pockets. 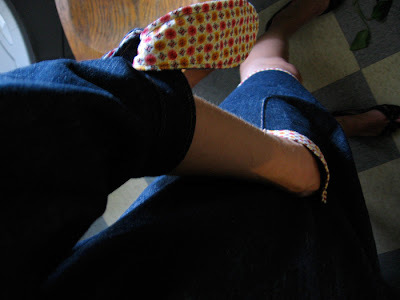 I also cut bias binding from the contrasting fabric and applied it around the zipper opening and at the hem. It's a very easy dress to wear and lots of fun. 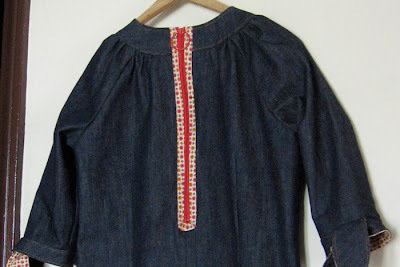 In "built by wendy", "sewing"